Wire space cloth is pre-crimped wire cloth known for its extremely accurate openings and its weave that is substantially tighter than plain weave. Wire space cloth derives its name from the openings between the wires that are referred to as “spaces.” As such, a wire space cloth listed as 3/8-inch space, .063 wire means the wires are 3/8” apart and measure .063” in diameter. Wire space cloth has a wide range of useful industrial and commercial applications. 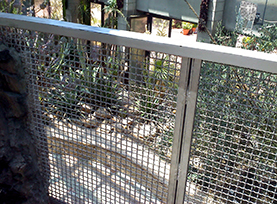 Using this type of wire cloth for screening applications is a common practice, as the larger openings work well for screening gravel, sand and aggregates. This also enables more accurate sizing, washing and classification of these materials and facilitates separation during screening. 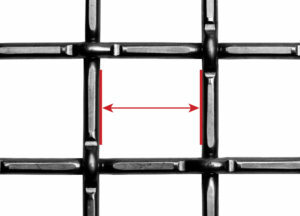 Square opening wire space cloth is typically used in food processing applications for products such as onions, pasta, nuts, corn, cucumbers and many others. As a leading space cloth supplier, Marco Specialty Steel is your complete headquarters for both woven and welded space cloth. 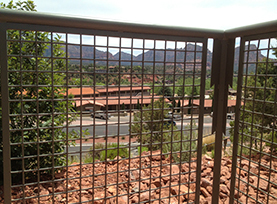 Woven is the more popular of the two options, although welded is typically the preferred choice for applications where larger openings are desired. We offer space cloth in a wide variety of clear opening, wire diameter, open area percentages and weight-per-square-foot options to meet our customers’ varied requirements. Space cloth is available in stainless steel and other high-quality materials to ensure reliable, long-lasting performance. A primary reason why Marco Specialty Steel has become one of the top space cloth suppliers over the past 25 years is our willingness to work with our customers to develop the specialized product they need. Our expansive 35,000-square-foot Houston, TX facility includes a fully equipped custom fabrication shop where we can custom-weave virtually any type of mesh in whatever material you require. 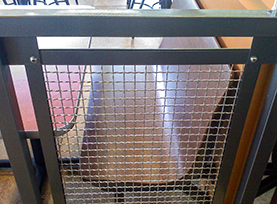 Our custom wire space cloth capabilities include cut-to-size pieces, slitting, circle-cutting, stamping, blanking — whatever it takes to create the finished product that meets your specifications. You can even submit your own drawings and blueprints to our expert technical sales staff. Why Should You Make Marco Your Space Cloth Supplier? 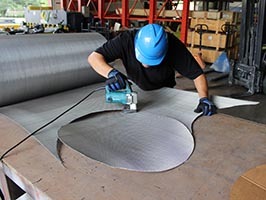 In addition to high-quality stock and custom wire space cloth products, Marco Specialty Steel is known for completing all projects with speed and efficiency. 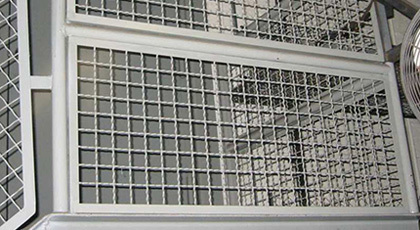 Whether you need wire cloth for screening, separating, sizing or any other purpose, you’re assured of getting your finished product in a timely manner. You will also appreciate our customer-focused business approach and close attention to the smallest of details. We treat every project with the same high level of care, regardless of size or scope. 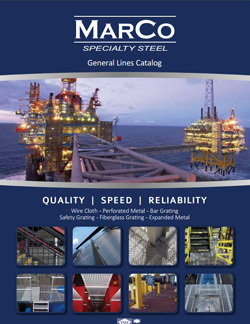 Marco Specialty Steel has made it a priority to provide a huge library of information to help our clients find the specific material for their individual application. 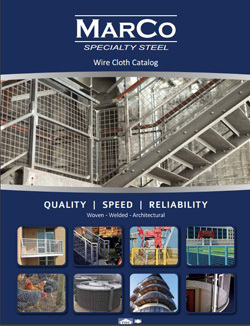 Feel free to visit our wire mesh resource section of our website or download one of our catalogs below to learn about our wire space cloth products. 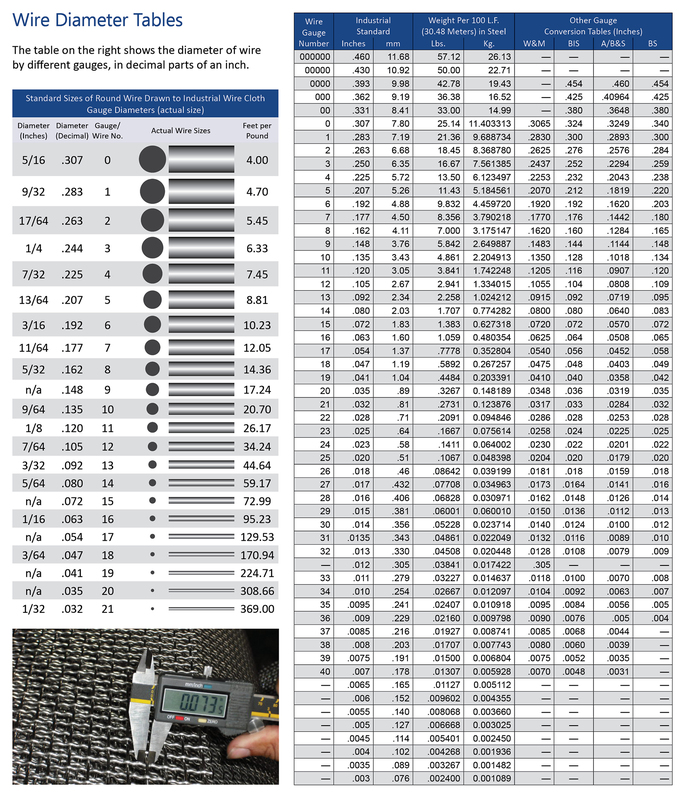 Please take a few minutes to explore our selection of wire space cloth products, and feel free to contact us if you have questions or need additional information. We’ll also be happy to provide a no-obligation space cloth project quote.